Hey sports fans!!! We are pleased to announce that you can get our cookies at the Cubs stadium for spring training this year @ Sloan park in Mesa, AZ. So. Cal. has a NEW burger joint, and it’s 100% plant based! It’s all the rage and rightfully so. They offer a simple ‘IN-N-OUT’ style menu and have 2 locations so far. Downtown Los Angeles and Riverside. 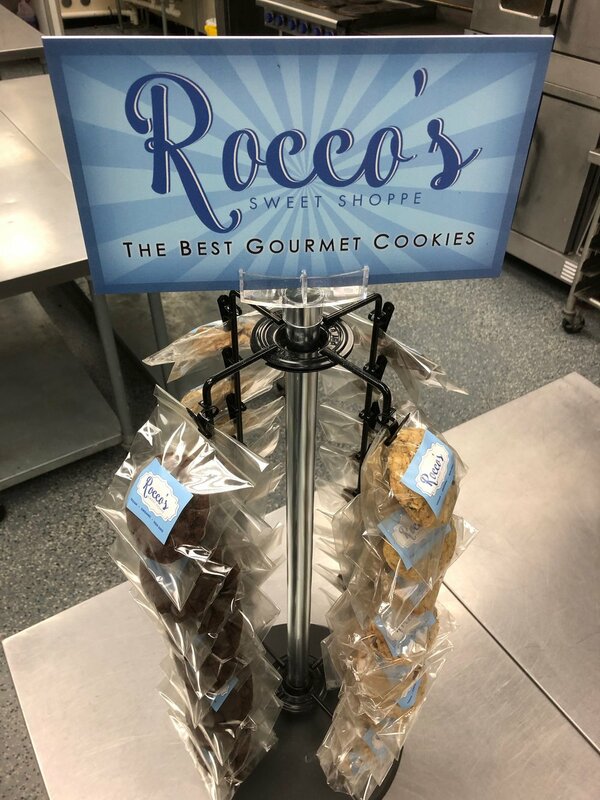 BUT the best news is that the cookies they carry are supplied by yours truly- Rocco’s Sweet Shoppe! This place is a MUST try. Even if you are not vegan, or even vegetarian. Go here to find out more. HI there!! We are happy to announce we made it through our 1st year. 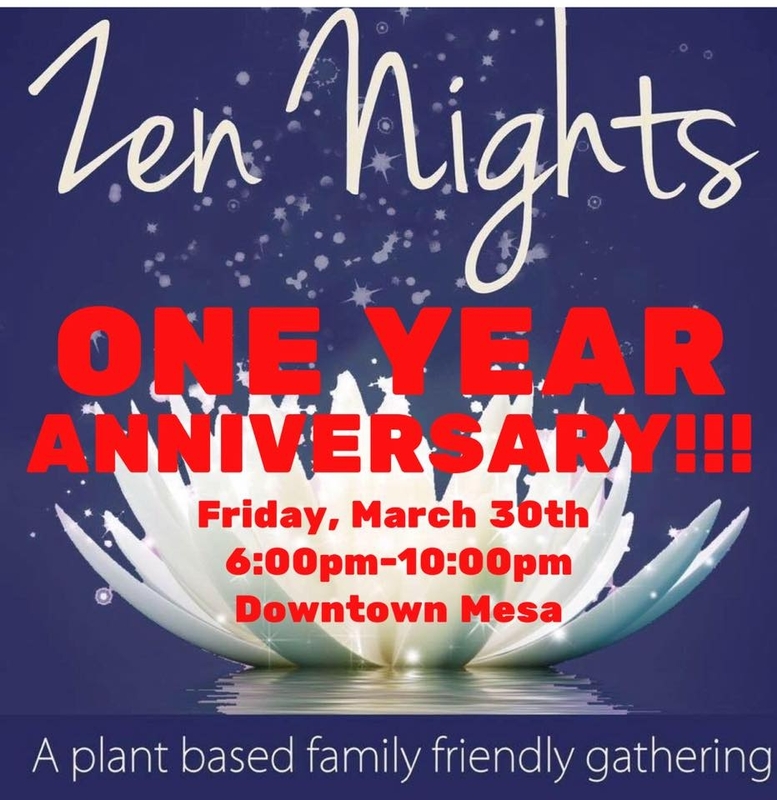 We will be at the AZ Vegetarian Food Festival again in a couple weeks to celebrate and help spread the word of vegetarianism, healthy living, and animal rights awareness. We hope to see you there as well. Thank you for stopping by. Desert Trip was "A Trip"
3 night festival, 2 weekends in a row, the biggest rock heroes in the world. What more can we say? It was absolutely incredible and we were happy to be a small part of it. High class food, high class EVERYTHING! Being a vendor for the first time at Coachella was just as rewarding as being a spectator. In fact, it felt a little more special being 'a part' of the event. This amazing gathering has been happening for 16 years now and still remains tasteful. Over the years they have expanded their VEGAN options and we were able to sample some delicious cruelty free items from Simply Vegan, Donut Farm, and Sage Vegan Bistro. Our favorite meal came from Ramenhood. Along with great food, we were able to catch some great live shows too from Rancid, Ice Cube, The Damned, and Major Lazer. All in all we had a fantastic weekend seeing old friends, making new ones and sharing our sweet treats with everyone. See you next year Coachella. We were honored to be a part of the AZ vegetarian food festival this year. We couldn’t have asked for a better event to introduce Rocco’s Sweet Shoppe to the public. The numbers doubled from last year and proved that the vegetarian / vegan community is growing in the Phoenix area. We got to hang out with local business friends Ali Metzger of Eat Vegan Food (food truck), and the gang over at 24 Carrots. We also made new friends with some of the national companies that came out like Heidi Ho Organics, Upton's Naturals, and Herbivore Clothing. In addition to the awesome vendors, there were great speakers, fantastic cooking demos, and a family friendly kids area. Thank you Nira and Sarah from U.S Veg Corp. for putting on the event. See you next year! Introducing Rocco's Sweet Shoppe. We are a brand new company based in Gilbert, Arizona. 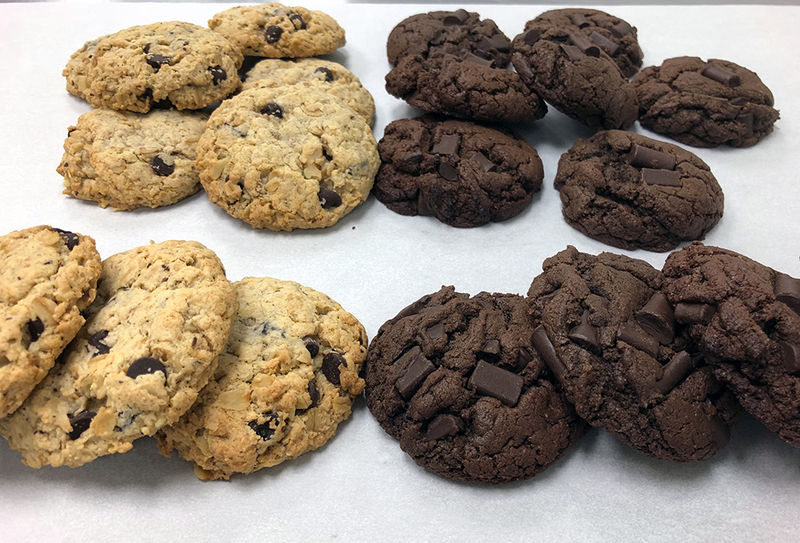 We offer 100% Vegan baked goods. We place high value on using only the finest organic, vegan, and non gmo ingredients in our kitchen. Nearly 90% of factory farmed , food producing animals consume GM crops. Organic farming is better for the environment and better for your health. We don't support cruelty to animals.